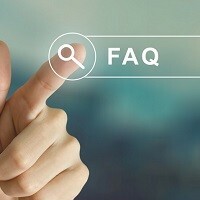 Home » FAQs » What is Humidifier Output? Humidifier output is the amount of moisture a unit can output. Your humidity output is measured by the gallons per hour or gallons per day of water your humidifier can put into your indoor air. Every humidifier output is different and will be listed under the product’s features or specifications categories. The humidifier output refers to the moisture capacity that is produced within 24 hours. The typical range of humidity output varies according to the type and size of the humidifier. Portable humidifiers have an output of 0.5 gallons per day to 9 gallons a day, and a whole home humidifier output is 9 gallons or more per day. The output is a standard measurement of a humidifier’s ability to humidify a certain number of rooms or an amount of square footage. The output is different from the humidifier’s water tank size. The water tank size refers to how much water can be held in the humidifier when it’s filled. The size of your home will determine the size and type of humidifier you need. Humidifiers supply moisture to the air based on the size of a room or home. The level of ventilation in your home will also dictate which kind of humidifier you need. Tightly ventilated homes don’t need as much humidity output as those with weak ventilation. The humidity output you need is determined by the square footage of your home plus how many gallons per day you need to create the ideal humidity level. Choosing the Size and Output of a Humidifier? 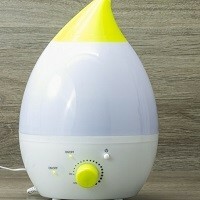 Portable or room humidifiers add enough moisture to the air for a single room. They are lightweight for easy portability, and some have removable water containers for easy cleaning. Console humidifiers are larger units used to provide moisture to multiple rooms up to 3,000 square feet. They are portable but are much heavier and don’t move easily. Console humidifiers are usually housed in a centralized location in a home. Whole home humidifiers are installed in your heating and cooling system and work with your HVAC unit to provide humidity throughout your entire home. There are three types of whole-home humidifiers to choose from, bypass humidifiers, fan-powered humidifiers, and steam humidifiers. They cover more than 3,000 square feet and are ideal for larger homes or homes with multiple levels. Why are whole home humidifiers important?